The Google Open Source Programs team has been on a mighty adventure the past six months. To celebrate our 10th year of Google Summer of Code, we’ve visited 10 countries, flown over 50,000 miles, and met with hundreds (if not thousands!) of Google Summer of Code enthusiasts all over the globe. One of our last stops was India, which boasts the second largest amount of participants since the program inception in 2005. Guest writer Sri Harsha Pamu shares his experience of the event below. Google Summer of Code (GSoC) is quite an amazing program — it provides an opportunity for students to learn and contribute to free and open source software by working on real projects (and get paid for it!). To put it simply, GSoC is a ticket to the exciting journey of the Open Source world. The Google Summer of Code program was announced very early, immediately after the GSoC 2013 program. Though I am not eligible to participate as a student for this year’s program, I am very excited to participate as a mentor for the National Resource for Network Biology (NRNB). When the Open Source Programs team at Google announced the stunning “10 things” initiative, I was thrilled to not only see India on the list of countries the team was visiting, but also honored to participate in the event. I was especially proud to learn that India stands second in the world in GSoC participation with 1042 students and 368 mentors since the program’s inception. 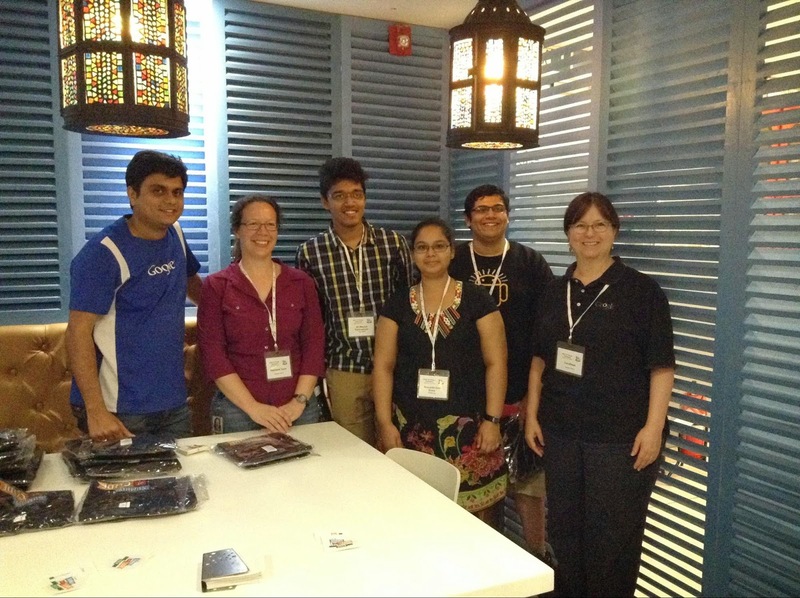 The event was held at the local Google office in Hyderabad on February 21. The room was filled with students and mentors from previous years of GSoC as well as several open source enthusiasts who came from all across India to attend this wonderful event. The evening kicked off with the presentation on GSoC by Google Open Source Programs Office team members, Stephanie Taylor and Cat Allman. They also spoke about the Google Code-in, their success with these initiatives, and what the team has planned for the future. Next, there were short talks by previous GSoC students who described their projects, the organizations they worked with and their personal experience as a GSoC’er. I was one of the speakers and was happy to share my work as a student with NRNB. After the talks, there was a raffle for all the attendees. One lucky student won a brand new Google Nexus 7 tablet. The evening wrapped up with a scrumptious dinner, knowledge sharing, photo sessions and tons of Google swag. The event was a phenomenal success. I would like to thank the entire team of the Google Open Source Office for initiating such brilliant programs which encourage student programmers to contribute to free and open source projects. I hope that there will be an exponential increase in the number of Indian student participants in the coming years!